Did you deliver freight for this company? 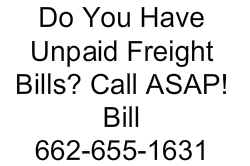 If you’ve had trouble reaching out to AGW Logistics LLC regarding unpaid freight bills, call now! Did this broker hire your company to haul freight? If you’re still trying to get paid on Seahorse Express Inc. debt, be sure to call today! Have you ever delivered freight for this broker? If you’re trying to get paid on Accurate Logistics debt, call today! 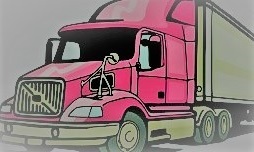 Have you ever delivered shipments for NR Trucking Inc? Do they still owe you for unpaid freight bills? If so, pick up the phone and call today! Are you still owed money by this company? Trying to find out what happened to this company? They were responsible for brokering deals between shippers and trucking companies.